The combination of Matricaria, Cornflower, Gardenia and Orange Blossom extracts works to fully eliminate all traces of make-up. Gentle Eye and Lip Make-up Remover's exclusive formula helps to dissolve make-up quickly and thoroughly preserve the softness of the eyelids and lips - the face's most fragile areas - thanks to its non-drying formula. Instantly provides a feeling of freshness and comfort. very gentle and non-irritating to the eyes. takes off waterproof mascara and liquid lipsticks very easily. great to use everyday. It does leave a slightly greasy feeling after all is said & done, however, it does what's its supposed to. Very gentle on my face and eyes. I highly recommend! Love these brand, especially for eye makeup removal! This product makes it easy to remove waterproof eye makeup. 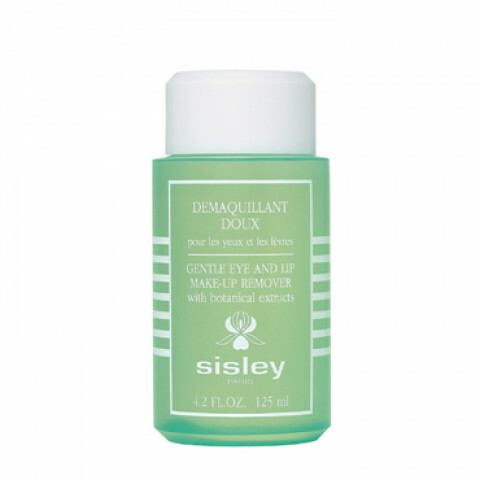 Gently removes all traces of makeup without having to tug on the eyes. I love it! Very soothing.